 Any person that partakes in a snow sport at the Val Saint-Côme site must respect the code of conduct on the mountain. The practice of sliding sports holds inherent risks that awareness and caution will help diminish. For a safe and enriching experience, you must respect the Code of the mountain at all times and be courteous towards others. In almost 80% of reported injury cases at the ski site, the injured sliders (skiers and snowboarders) are responsible for their actions. Errors can be committed most notably due to a lack of skill or actions that are against the rules set by the code of conduct. It is therefore important, for your own security and that of others, that every person show respect towards others while using the courses, and that they adhere to the rules at the sites. 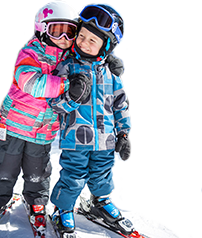 The code of conduct on the mountain establishes rules that aim to encourage the harmonious cohabitation of all winter sport enthusiasts on the courses as well as the playground, and to diminish the risk of injuries. The code of conduct is posted at the ticket booth and at the pier of each chairlift. The operator can also enact other rules imposed over the code. Before using any courses, the slider must find out about the characteristics of the mountain to conveniently orient themselves. They can also obtain this information on the synoptic board situated between the chalet and the access to the courses. This chart is also available in pocket size at the ticket booth. The slider must use the courses corresponding to their level of skill. The courses are classified by the following degrees of difficulty: Easy, Difficult, Very Difficult and Extreme. The playgrounds are designed to receive installations and developments designated for the execution of jumps and other figures, such as half pipes and ski jumps. The code of conduct on the mountain applies to the playgrounds along with other particular rules of conduct, which are posted at the park's entrance. The slider must be cautious while familiarizing themselves with the area and using different developments that correspond to their skill level. Yield the priority to those who are downhill and take a different direction to ensure their safety. The slider cannot see everything that is going on around them: In the courses, the slider who is uphill can clearly see the people below; it is then their responsibility to manoeuvre around them. A person should stop on a course only if they are visible to those who are uphill and do not obstruct the course. To avoid danger, we recommend that they stop themselves at the sides of the courses. Priority for those above at intersections! Yield the way to those who are uphill when skiing a course that crosses an intersection. Just as a motorist would stop at an intersection, the slider must avoid cutting off another person already going downhill. Help in the rescue effort! If you are involved in or have witnessed an accident, you must stay on site and identify yourself to a paramedic. Whether they are implicated in the accident or not, the slider must assist another injured person. The slider should also help the paramedic gather the required information. Say no to unsafe equipment! It is strongly recommended that, at all times, one should use an appropriate equipment retention system. The slider must use a system that will not allow their equipment to escape them when they fall to avoid injuring another person. 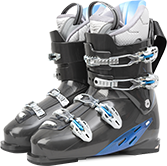 We can recommend a brake system integrated to the bindings in downhill skis and the straps on snowboards. No drugs and no alcohol! 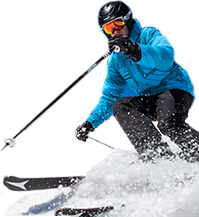 Do not use the chairlifts or the courses if you are under the influence of drugs or alcohol. These substances diminish the faculties as well as your capacity to react quickly, and to maintain your mastering of manoeuvres. Alcohol and drugs do not play a part in the maintenance of your safety. Respect all signs and warnings, and do not venture off the courses or onto closed courses. By enforcing this rule, this signals to other sliders that they can direct themselves throughout the mountain in a secure manner. It is therefore important to be aware and to conform to the rule. Also, it is forbidden to slide in restricted areas. 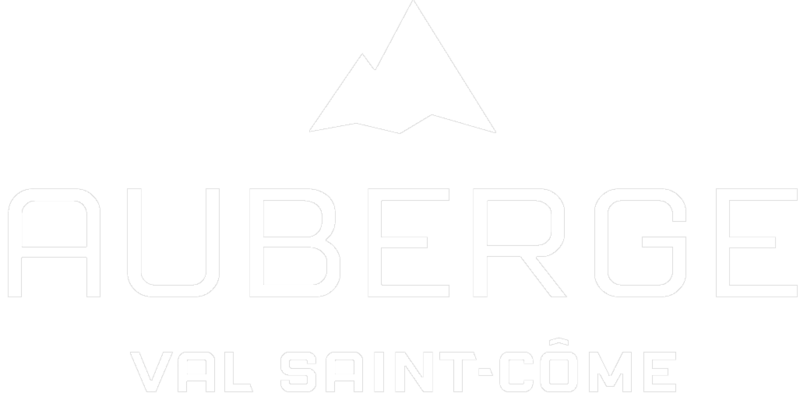 This code of conduct has been written by l'Association des stations de ski du Québec (ASSQ).